Prime Minister Imran Khan has once again set an example on how to be inclusive and show respect to other religions. The premier took to Twitter and wished the Hindu community on the festival of Holi. The festival is a celebration of the end of winter and the start of spring. 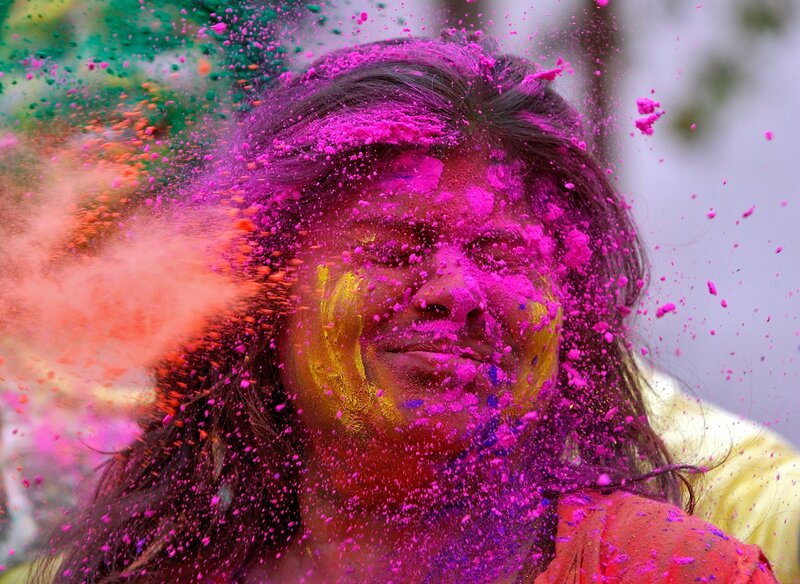 Often also known as the ‘festival of colours’ or ‘festival of love’, celebrations start on the evening of the Purnima [full moon] that comes in the Hindu calendar month of ‘Phalguna,’ which is between the end of February and the middle of March. The festival is split in two events that take place over two days. The night before is the Holika Dahan [burning of demon holika], in which people wear new clothes, gather around a bonfire and celebrate the victory of good over evil. 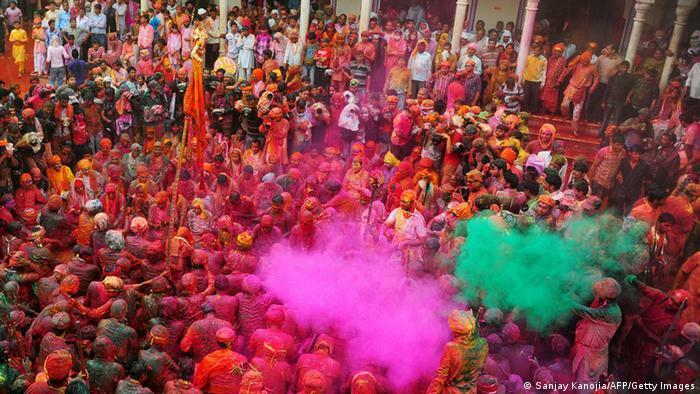 The next day is known as Rangwali Holi, in which everyone gathers for the ‘party of colours’. 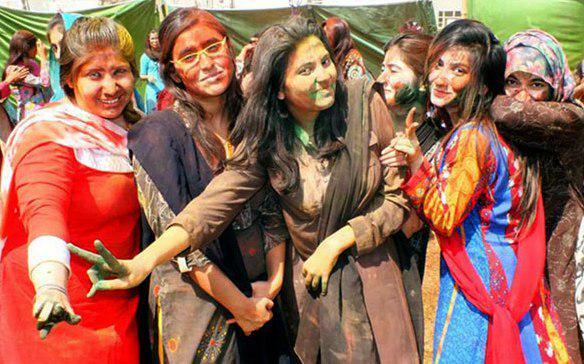 They celebrate by throwing coloured powder on each other along with music and dance. 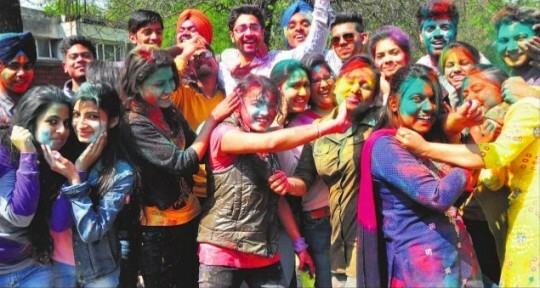 The Hindu religious festival of Holi has now become popular amongst non-Hindus as well. In many parts of South Asia and in the West, people enjoy the idea of a colour party and joyfully take part in the celebrations. The Foreign Office (FO) also sent out their best wishes, with Spokesperson Mohammad Faisal sending out a tweet on the occasion. Every Pakistani should be allowed to live his/her life as per their religious beliefs and within Pakistani law, respecting the beliefs of every other Pakistani. Great gesture by PM Imran Khan. Happy holy to all my hindu friends arounds the globe. 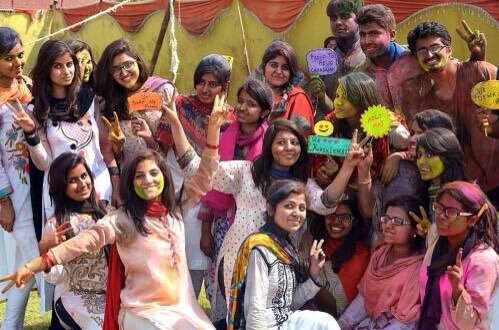 Holi is a pegan festival. But what would these people know whose mission in life is to attack the Maulvis. sir quran ya hadees mein kehen bhi mana nahe hey k aap non muslim ko mubarak baad nahe de saktey hein. Is sey muhabbat barhti hey. Hamrin dunya mekn muhabbat phelaney ki zaroorat hey nafrat already buhat ziada ho gye hey. Aur koi bhi mazhab insanyat k beger comete nahe ho sakta hey. Apke liy mufeed mashwara hay Indian movies jam dekha kareen. Every one has the right to follow their religion but 2 Number Riasat e Madina k 2 Number khalifa ko zaroorat Kya pardi hy yeh sab karne ki. I don't expect any non Muslim to say Eid Mubarak or Ramadhan Mubarak and that is perfectly fine. Its not rocket science is it ? Mein ney poori life mein sirf 7 ya 8 bollywood aur 1 english movie dekhi hey. Maulvis Sahab now trying to spokes person of Christians . Brothers, i didn't know either but it is wrong to wish Pegans and Non-Muslims on their pegan festivals. Can muslims say Merry Christmas or Happy New Year to others? If not, what is permissible to say during this period? Respecting Non-Muslims including Jews is completely Islamic but wishing them happiness on their dirty Shirk festivals. Respecting a dead body doesn't mean you go and start worshiping or tell them to be happy doing Shirk. It (HOLI) is originally a religious festival, and those who celebrate it – the Hindus – believe that on those days the evil gods were destroyed by the good gods! This is part of their religion, which is based on myths and idol-worship. Along with the playing with colours, dancing and singing, sweets are distributed and they congratulate one another by saying “Happy Holi”. It’s not about wishing but as a leader, making minorities feel secure and part of the society, at least that’s how I see it. May Allah guide us all and forgive our shortcomings. More liberal fascists are abusing Pakistan than ever. What kind of Riyasat Medina is this?